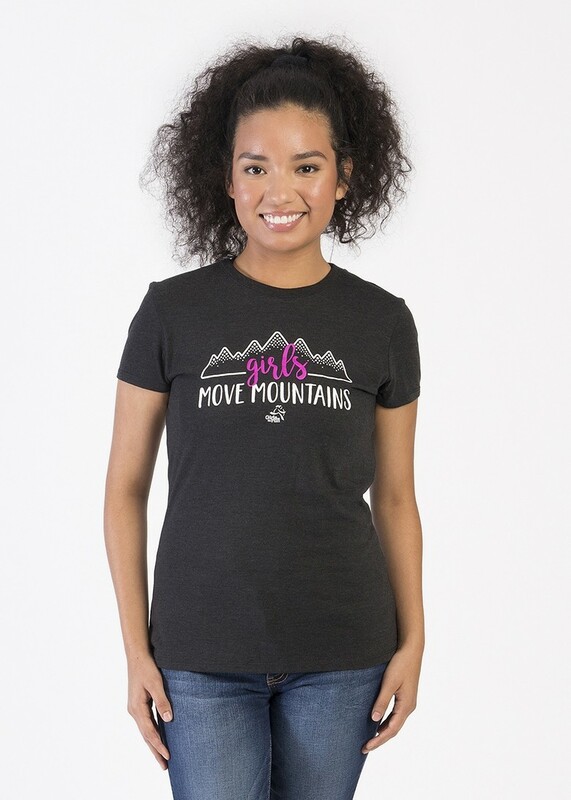 As a reminder that she can do anything, overcome any hurdle and chase her wildest dreams “Girls Move Mountains”. This tee is made from three yarns making it an ultra comfy shirt, it’s an easy/classic fit with set in sleeves and rounded neckline. The base shirt is District Threads.The model is 5’ 8” and is wearing a size Medium. So impressed by the quality! The material is so soft, and the print on the shirt is cute. The colors are vibrant. I am surprised at how quickly the package arrived - and it was conveniently delivered in the mailbox by U.S. Postal Service. Excited about my purchase! Thanks, Girls On The Run!